The novel follows a young man from his B.C. upbringing through living in a Japanese internment camp to his becoming a real estate developer working on the Toronto waterfront. 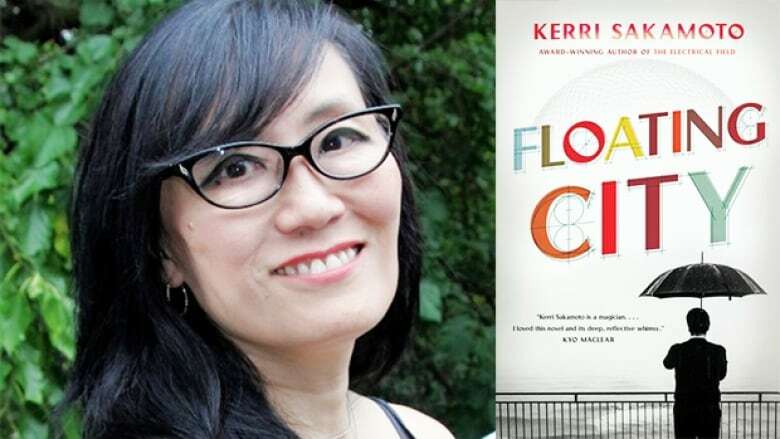 Money and big dreams propel the ambitions of the protagonist, a young man named Frankie Hanesaka, in Kerri Sakamoto's Floating City. The novel follows Frankie, from his B.C. beginnings through living in a Japanese internment camp to his becoming a real estate developer working on the Toronto waterfront. "Frankie Hanesaka grows up in a floating house on Vancouver Island. He's full of burning ambition to escape his poverty and the racism he has experienced. He eventually comes to Toronto, where he becomes a successful property developer — he wants to basically own the Toronto waterfront. The story covers the period of the 1930s to 1980, a very formative time in the development of the city. "There were three ideas that came together in the book for me: family lore, the archetypal story of a friend's brother who was extremely ambitious at a great cost and the architect Buckminster Fuller's proposal for a floating community in Toronto harbour. There was a fairytale quality in the story when all of these things came together in my head." "I feel Floating City is different from the past books I've written — there's lightness and hope in it. I think it has a lot to do with having children, getting tugged out into a more expansive world, but also a magical world. Having written this book makes me happy because I feel there is a lot of optimism in it in spite of the hardships the character goes through." Kerri Sakamoto's comments have been edited and condensed.